Consisting of three new embroidery designs and three new knit designs, WILDFLOWER is a floral inspired walk through the season: a cozy cardigan for those early days of spring when the wind still bites, socks and shawls for warmer days, and embroidery designs that go from seed to vase. Projects range from beginner-friendly to the more complex. Over the next few weeks, I'll also be sharing some tutorials to provide extra support for these designs, from coloring your embroidery, to colorwork tips, and to reading a lace chart. Each pattern in WILDFLOWER can be purchased individually, or as part of a complete kit featuring high-quality materials. 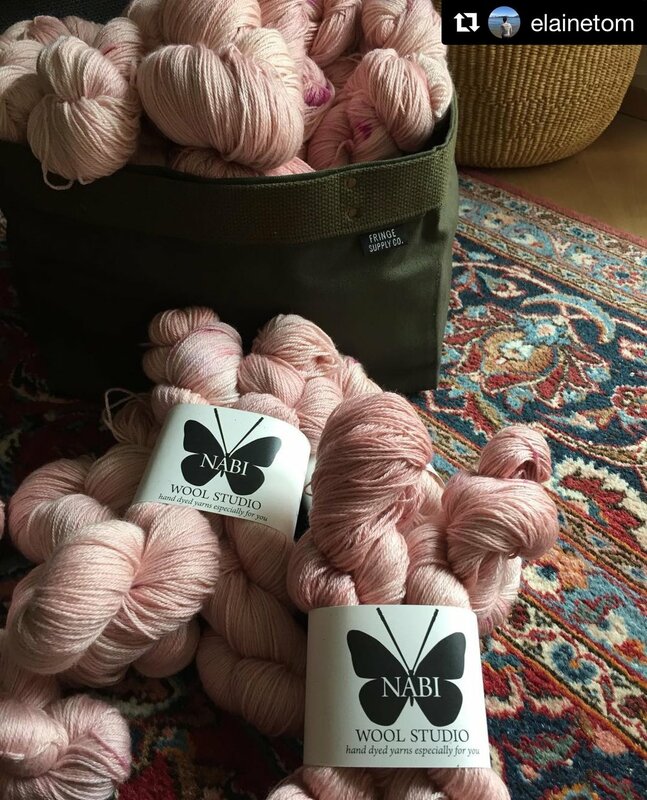 As a special bonus for this collection, I've partnered with Nabi Wool Studio in Switzerland and Red Sock Blue Sock Yarn Co. in Canada to bring you hand-dyed yarn kits for the Rambling Eden Shawl and Bracteole Socks. Interested in a Cormous Cardigan Kit? Pre-orders are open now through the end of the month. The knitting patterns can be purchased as an e-book for $16.00 USD or individually ($6-$8 USD). Likewise, the embroidery designs can be purchased as a set for 20% off the individual price. Flip through the lookbook below, or check out the shop! Even as I'm preparing to plant my first real seeds of the season, my next pattern collection is rapidly growing. I'm now less than a month away from launching WILDFLOWER, which means I'm neck-deep in partially-finished samples, pattern edits and kit supplies. Mr. Cleaver is being extremely patient about the number of project bags and cardboard boxes littering our house at moment. But even in the midst of all this chaos, the beauty of it all, like a bud peaking out of the dirt, is apparent and I'm relishing all the time I'm getting to spend with these beautiful threads and yarns in their vernal greens, pinks and purples. To be the first to know when this collection launches, which includes some limited-edition hand-dyed kits, sign up for my newsletter below. You'll receive a special discount and a free garden planning template (excel) as my thank you to you! The WOODLAND collection came together as a collection more or less by accident. I had a few designs I wanted to do and as I was working on them, I realized that they had a similar theme, so I decided to go with the flow. That said, I quickly learned that I liked working in the collection format - even if it mean photographing a half dozen things in about 45 minutes. So when I starting thing about where I wanted to go with my design work, doing more in the collection format immediately sprung to the top of list. And so, in December, I started thinking Spring. WILDFLOWER seemed like a good good follow up to woodland theme, so I started gathering images and thinking about what the collection would be. I also knew I wanted my work to be more collaborative this year, so I'm partnering with indie dyers NabiWoolStudio and RedSockBlueSock for two of the knitwear designs. At this point, all the planning stuff is pretty much done and I'm deep in pattern writing and sample making. There will be three new knitwear designs and three embroidery hoops and it's all going to be so pretty! So wish me luck as I furiously stitch and try to find a spring-esque photoshoot location in Maine in Feb/March! Old farmer sowing seeds from traditional apron, Hilltown, Co. Down, 1970s, Bobbie Hanvey, photographer.